H pylori infection is very strongly associated with peptic ulcer disease (duodenal and gastric) and chronic active gastritis. 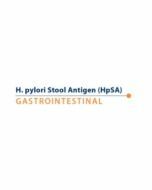 H pylori infection is also an independent risk factor for gastric cancer and primary malignant lymphoma of the stomach. The infection can be treated successfully in most cases with a combination of medications for 10 to 14 days. 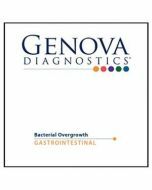 By doing a stand alone stool test or as an add on to our Gastrointestinal line of tests this method detects H pylori antigen in stool specimens and can be used for diagnosis, therapeutic monitoring, and proof of eradication post treatment.